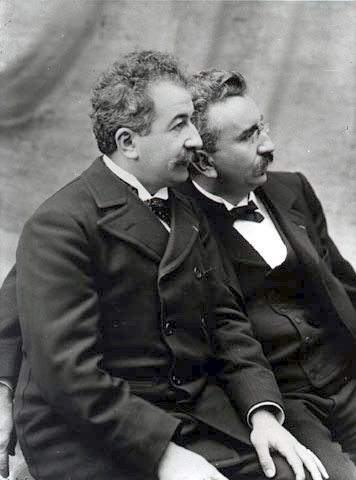 On this day the Lumière brothers held the first public screening of films in cinematic history. This occurred in the hall of the Salon Indien du Grand Café on the Paris Boulevard des Capucines. Ten short films were shown, among which was the first film of the Lumiere brothers, “Workers Leaving the Lumière Factory”, which they recorded earlier that year and that lasts only 46 seconds (there are three different versions of the film, the first one where a horse is pulling a carriage at the end of the film, the second in which it is pulled by two horses, and a third without horses). That movie was filmed at a speed of 16 frames per second, so it had about 736 frames, which made it about 17 meters long. It is interesting that the brothers felt that cinema doesn’t have a future, so they soon after abandoned that area and turned their attention to developing a process for color photography.